When it comes time to dress a holiday table, most of us head for the florist or grocery store for fresh blooms. This is Minnesota, after all. Even if you typically plunder your own garden during the growing season, all is long gone by November or December. 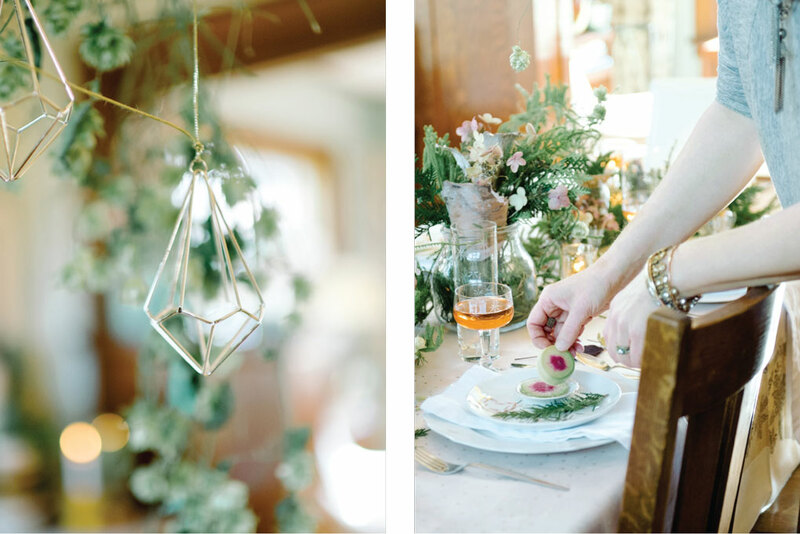 Not so fast, says St. Paul floral designer Christine Hoffman. 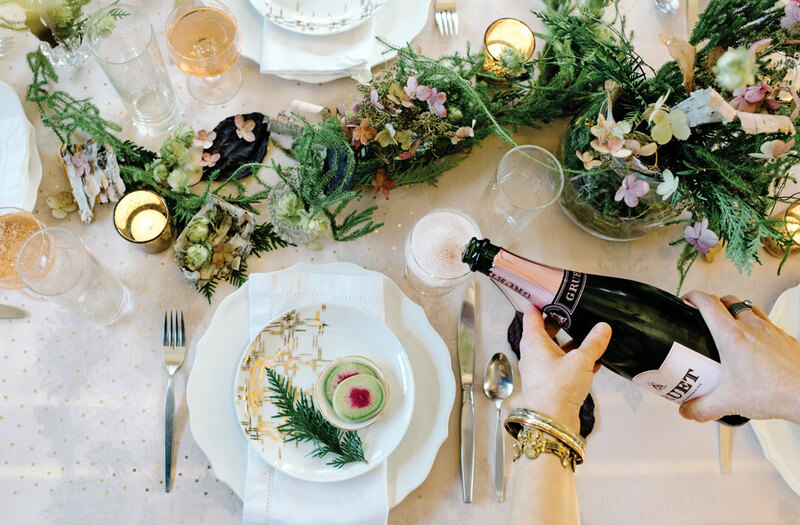 She knows how to make the most of what nature offers year-round, and designed this holiday tabletop for us with locally grown flowers and flora—all available in December. Hoffman, a practitioner and proponent of the “slow flowers” movement (similar in philosophy to the slow-food movement that advocates local, seasonal, and sustainably produced food), sources all her flowers and floral materials from area farmers who practice sustainable, organic growing methods. 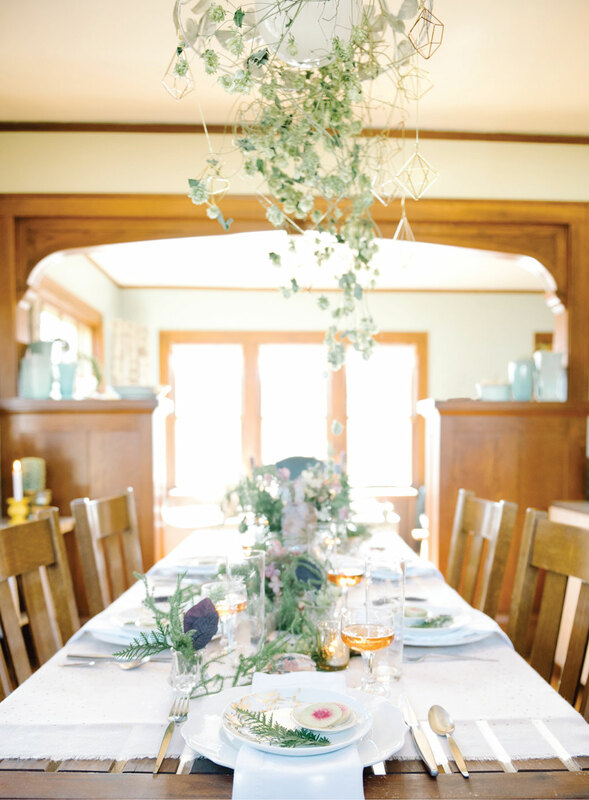 A onetime photo and event stylist with a particular affinity for flowers, Hoffman opened her own floral design and home goods shop, Foxglove Market & Studio, on Grand Avenue in 2013. She chose a path rarely traveled for her floral business, stocking only flowers grown locally without chemicals. Since most of the flowers sold in U.S. grocery stores, florist shops, and online are imported from South America and Africa—where they are doused with chemicals and bred to withstand shipping—her commitment was a challenge. “I didn’t know if it was even possible to do on a retail scale,” she says. She started with two growers, one in Minnesota and one in Wisconsin, and built from there. She soon discovered the national slow flowers movement and slowflowers.com, a website dedicated to sharing advocates’ resources and philosophy. As Hoffman’s business grew, so did her enthusiasm for the local, organic, and seasonal. Even without fresh flowers from November to May, she remained dedicated. She’s found area growers to supply holiday greens and assorted dried materials. She’s also been known to forage in her own yard for items like milkweed pods, sticks, and birch bark. Using only in-season flora and flowers does require a certain sensibility adjustment, acknowledges Hoffman. Wintertime arrangements include fewer blooms and bright colors. But she says she has found a deeper appreciation for nature by being in sync with the seasons. 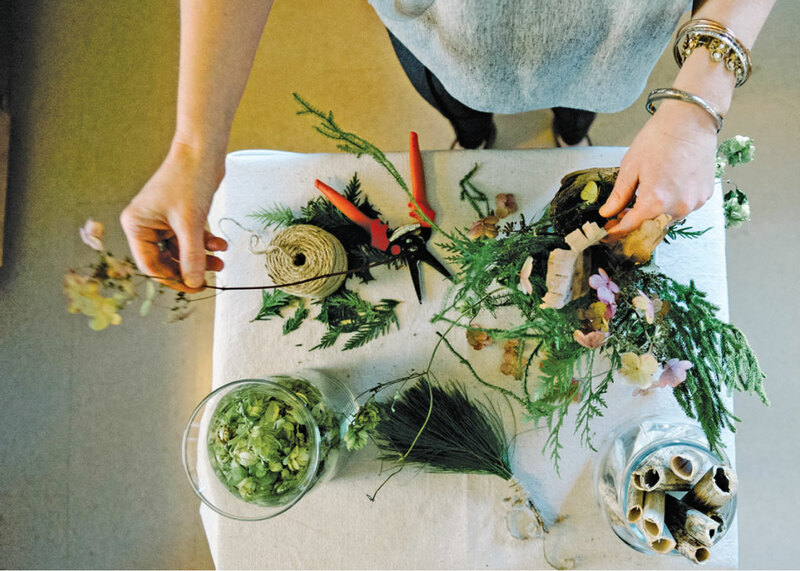 Hoffman closed her Grand Avenue shop late last year to concentrate on practicing what she preaches: creating slow-flower bouquets and arrangements for weddings and events, teaching workshops, and spreading the word about the movement. Her work has been part of the holiday display and tour at the governor’s residence for the past two years, and this year she plans to decorate the lower-level foyer to represent Minnesota’s winter in the woods, prairie, and river with all natural flora. Thursday, November 17, 6 p.m. – 8 p.m.
Thursday, December 1, 6:30 p.m. – 8 p.m.
Friday, December 2, 10 a.m. – 11:30 a.m.
Thursday, December 8, 6 p.m. – 8 p.m.